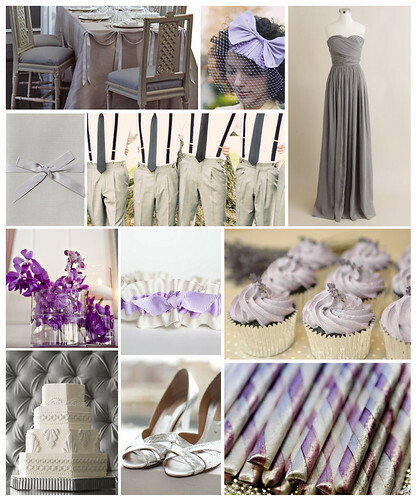 Lavender and grey make a beautiful color palette, especially for a late fall or winter wedding. Grey tones can be shimmering, shiny or lustrous, and cool lavender is always lovely. The coupled colors create a chic and feminine, yet masculine vibe.